Originally the Heysham-Belfast Ferry, this massive ship was dumped at Mostyn in the 1980s with the intention it would become an entertainment centre/indoor market. Problems with the local Council meant this only lasted a very short time and it has been rusting away ever since. 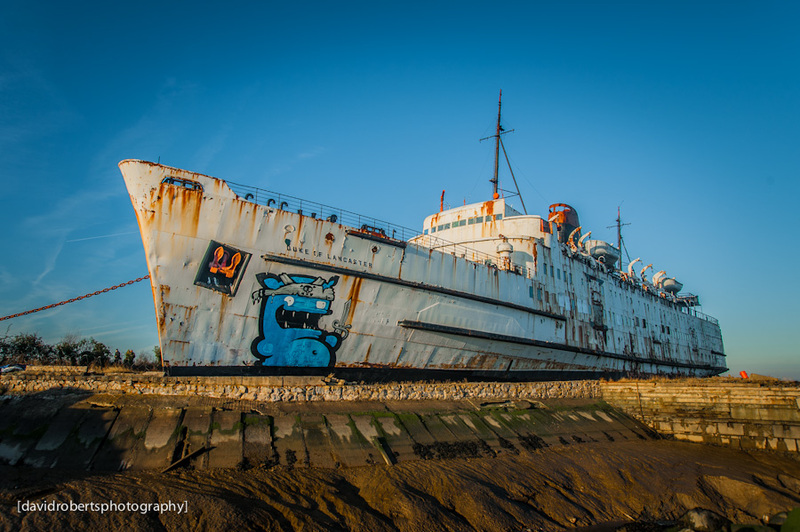 Several large Graffiti pieces have recently appeared on the ship, part of an officially sanctioned arts project.